Fiona has worked as a teacher and director in early childhood programs, a college instructor, grant administrator, program director and consultant and trainer. She is currently the Program Director of the Child Care Alliance of Los Angeles, a network partnership of the child care resource and referral, and alternative payment agencies across the county. She oversees county-wide collaborative programs, including the Gateways for Early Educators™ professional development system and the California Early Care & Education Workforce Registry. Fiona holds a Bachelor’s degree from Cornell University and Master’s from Pacific Oaks College and was recognized as a Master Leader from the Exchange Leadership Initiative. 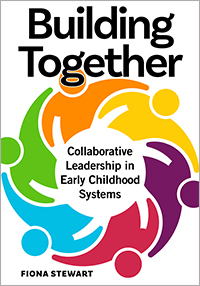 Develop the leadership skills needed to build sustainable early childhood systems and work toward continuous improvement.